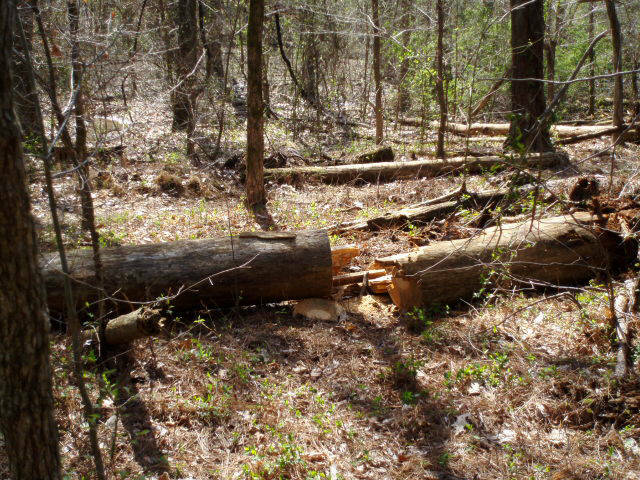 Controlled Fall of a "Widow Maker" Tree. 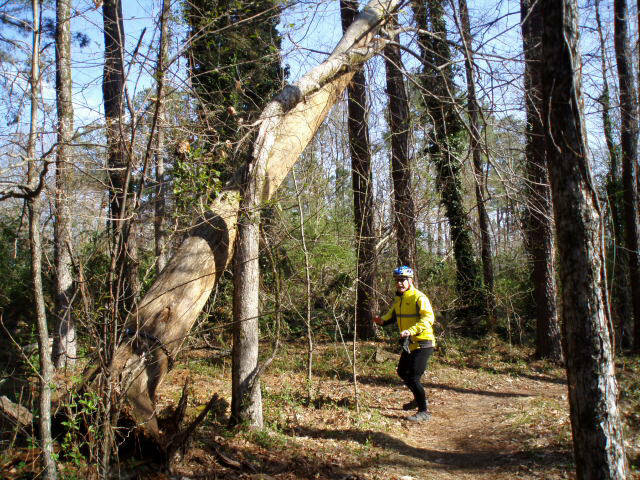 This tree at Herb parsons has been leaning near the trail for some time. 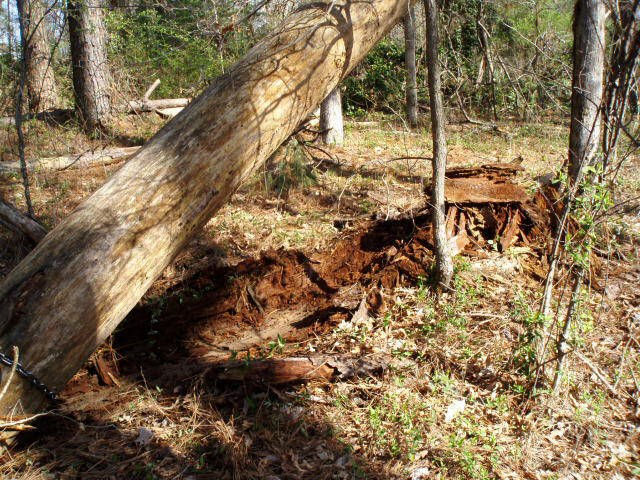 These leaning trees in bad places are called "widow makers" because they can fall at any time. If someone is in the wrong place when that happens... well you know the rest. 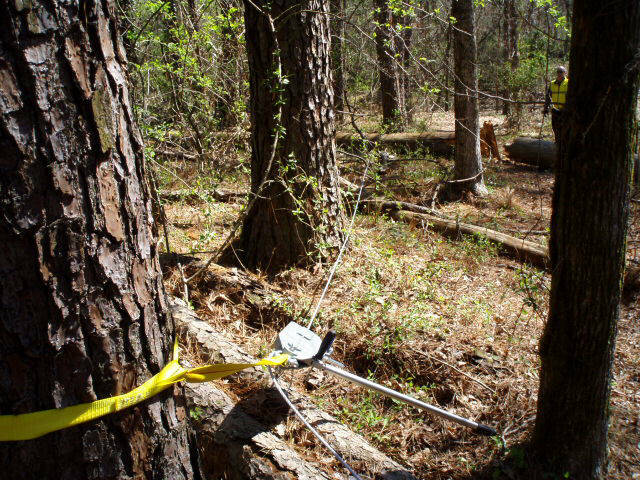 Steve K. came up with a wire rope pulling hoist to bring down this tree from a safe diatance. 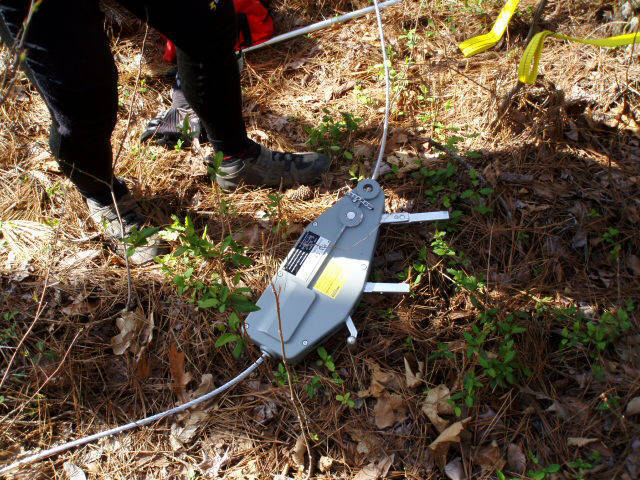 This device consists of 65 feet of wire cable and a ratchet assembly to provide the pull. We first tried a linear pull. That worked for a while. The long cable allows the ratchet assembly to be operated from a safe distance. The tree moved about 18 feet but then it was dug in and would not move any more. We tried pulling the tree from the side, but it was dug in too much to move. 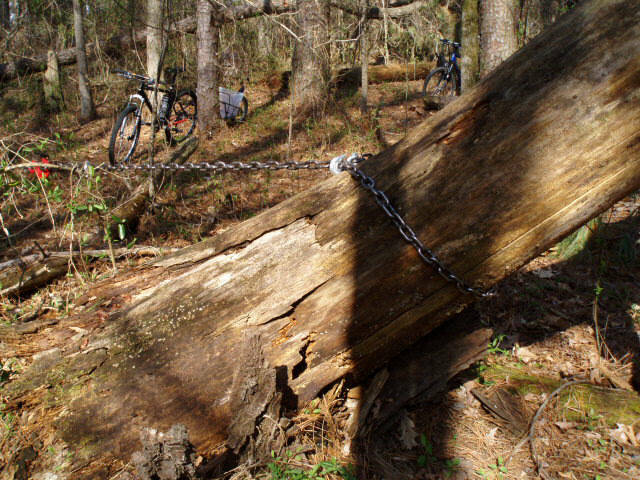 Then we made a cut with a chainsaw and wrapped the chain around it at the cut. A few pulls and it broke and fell. The tree borke in two. 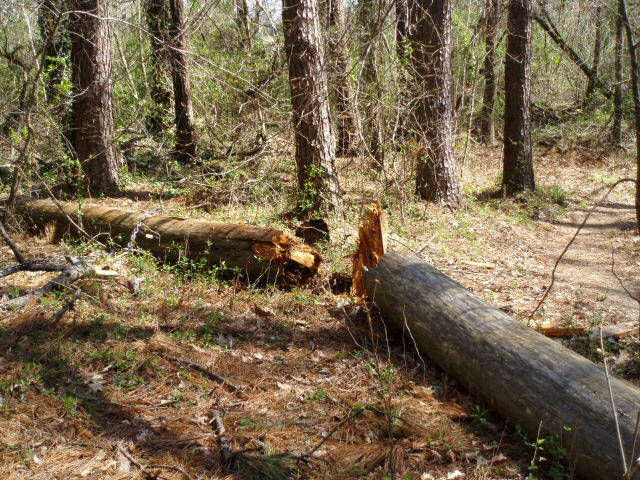 The top piece loged in another tree. 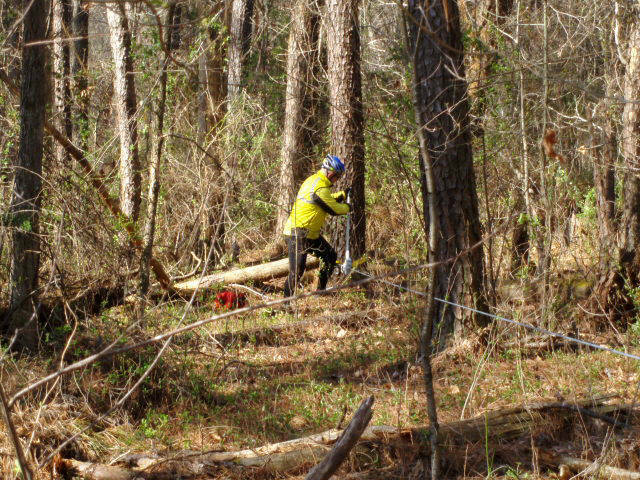 Here the second piece is dropped away from the trail. The "widow maker" is safely on the ground. 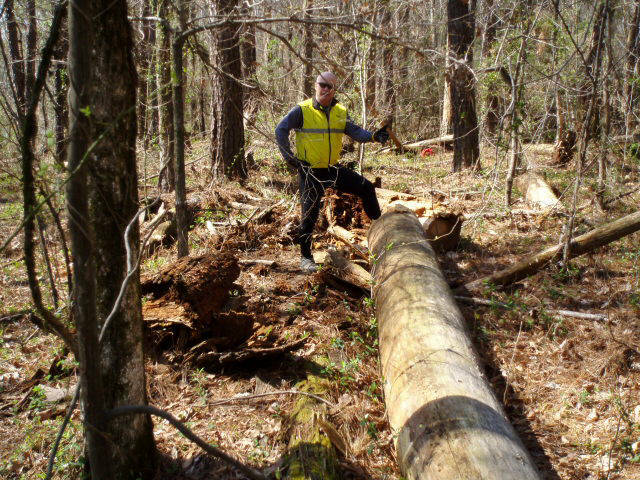 Here is Steve in his "AX Men" pose.